We encourage you to create your own route for this unique walkable concert. The suggested route for Jazz Along The Charles begins at the Community Boating building near the Longfellow Bridge on the Charles River Esplanade and extends one mile throughout the park ending at the Fairfield Street footbridge near the Stoneman Playground. A full map of the Jazz Along the Charles route can be found here. 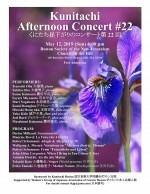 A free jazz event along the DCR’s Charles River Esplanade. 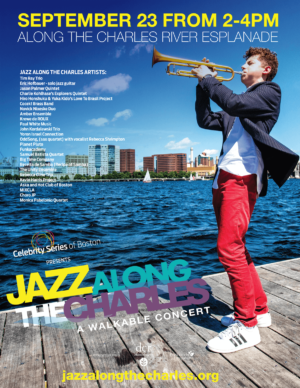 On a single fall afternoon, 25 jazz ensembles will gather at a series of connected, walkable locations along the Charles River Esplanade, interpreting a curated list of Boston-related tunes in one collective concert that celebrates the great jazz community in Boston today. 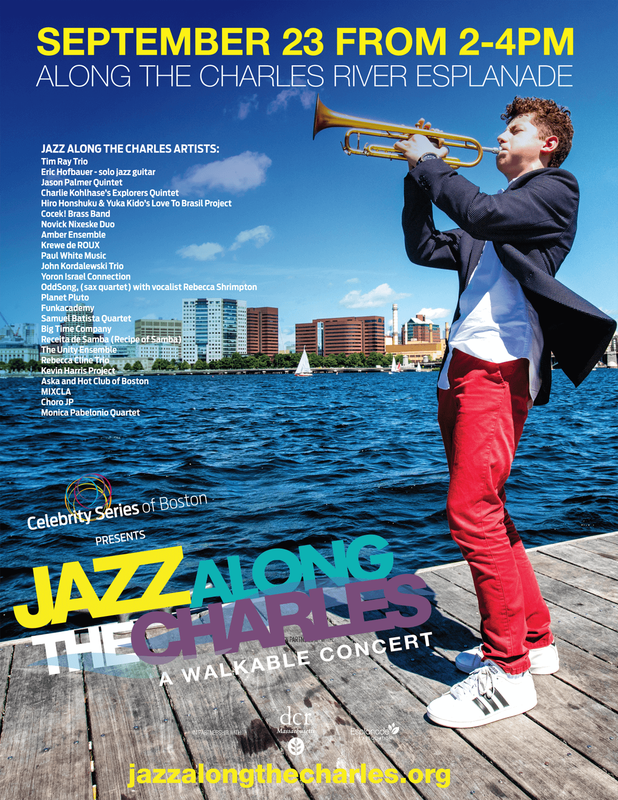 Such is the vision of Jazz Along the Charles: A Walkable Concert, produced by Celebrity Series of Boston. These 25 jazz ensembles will come together simultaneously to interpret the same set list in their own style. 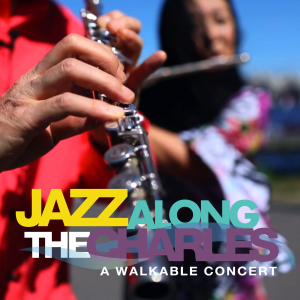 The audience will stroll along the Charles River on a two-mile loop, discovering new songs, artists, and areas of the Esplanade, creating a dynamic and evolving jazz concert experience. Jazz Along the Charles is a free public event, part of Celebrity Series’ commitment to free public performance experiences for the people of Boston.